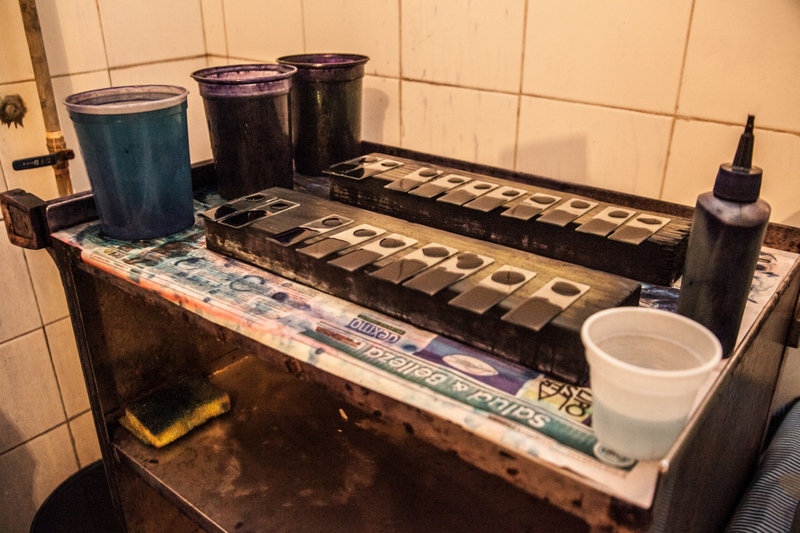 The state of Bolivar, located in the south-eastern part of the Bolivarian Republic of Venezuela, is also one of the territories with the greatest presence of precious materials such as gold and diamonds. This territory has been inhabited since ancient times by the indigenous community of Peimon. 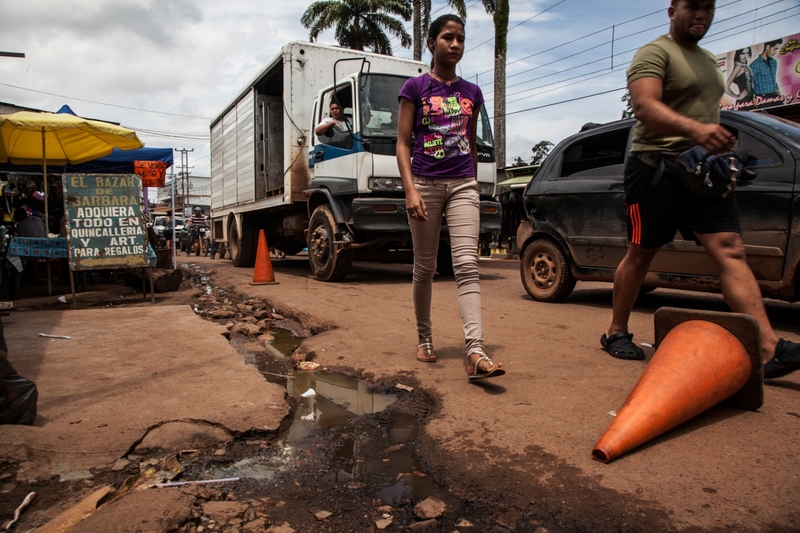 This is an area under a special administration regime for which Venezuelan legislation has established several laws to protect the environment and its inhabitants, with specific objectives for the conservation and sustainable exploitation of the territory. Part of this region has been also included in Canaima National Park to preserve its beauty and environmental diversity. 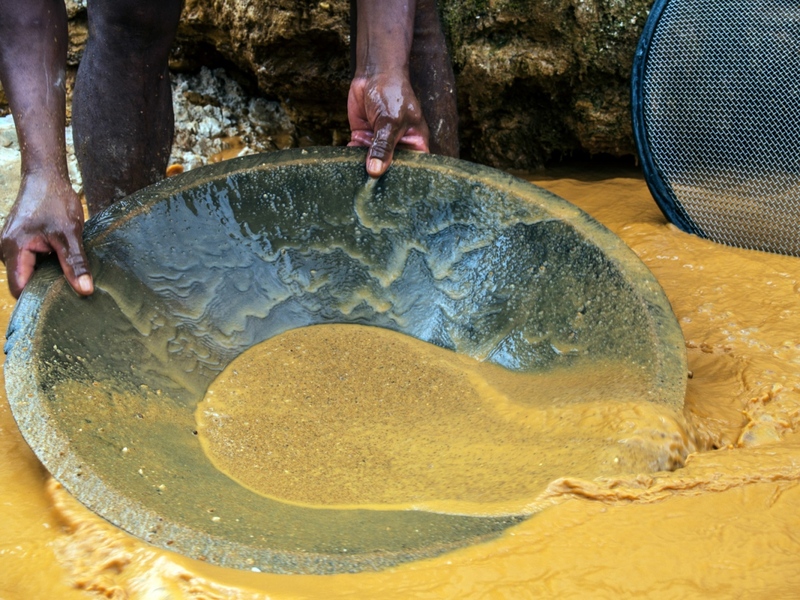 Unfortunately, many of these laws have been often misunderstood and forgotten, because in fact nowadays there are a many indigenous and Creole communities that devote themselves to the illegal mining of gold. 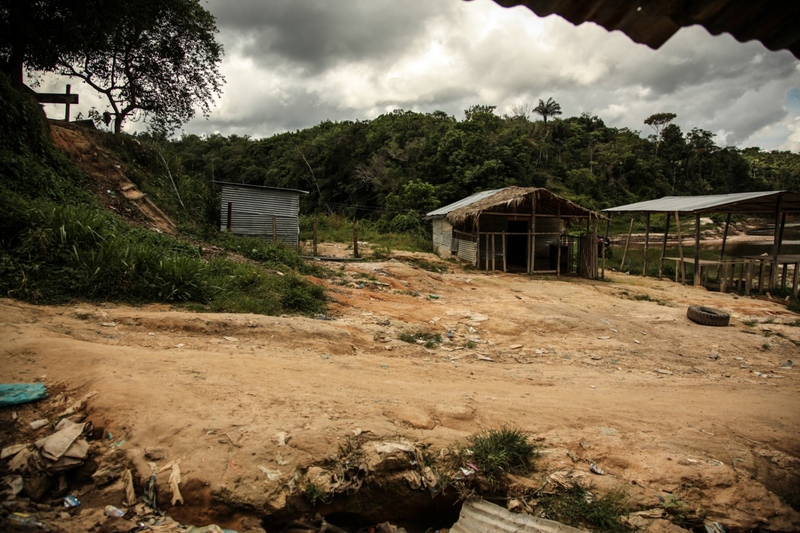 Due to the increasing value of gold and the corruption of the army, mining is exploited with extraction methods which consist of the slaughter of large areas of Amazon rainforest, resulting in serious environmental and health damage for those making a living from this illegal work and for the peoples living this area. 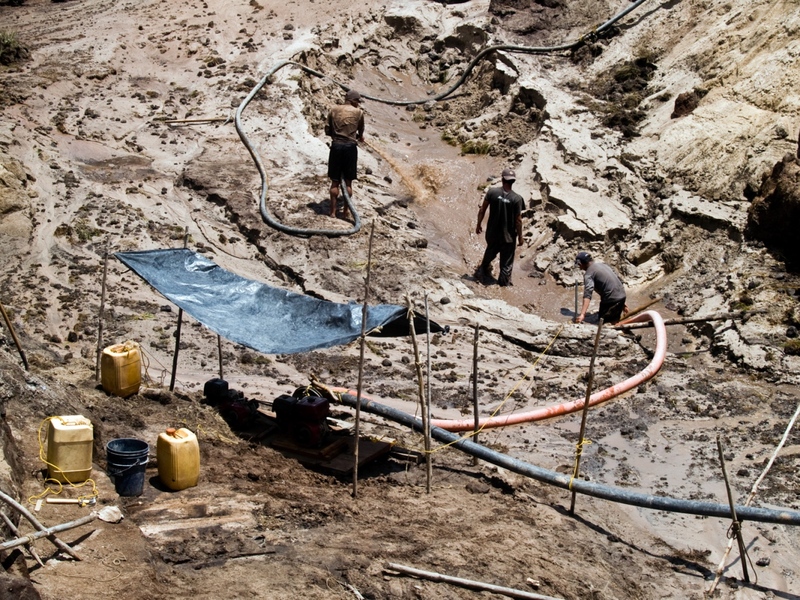 To extract the precious metal, miners use water pumps whose power moves large soil plots. The mud then passes through pipes that bring it into bins containing mercury. This heavy metal has the power, by its chemical qualities, to attract gold. Once collected, the mixture is then burnt to evaporate mercury and thus obtain pure gold pieces. Water emerging from this process remains in stagnant wells that favour the incubation of mosquito larvae, that transmit malaria and dengue. 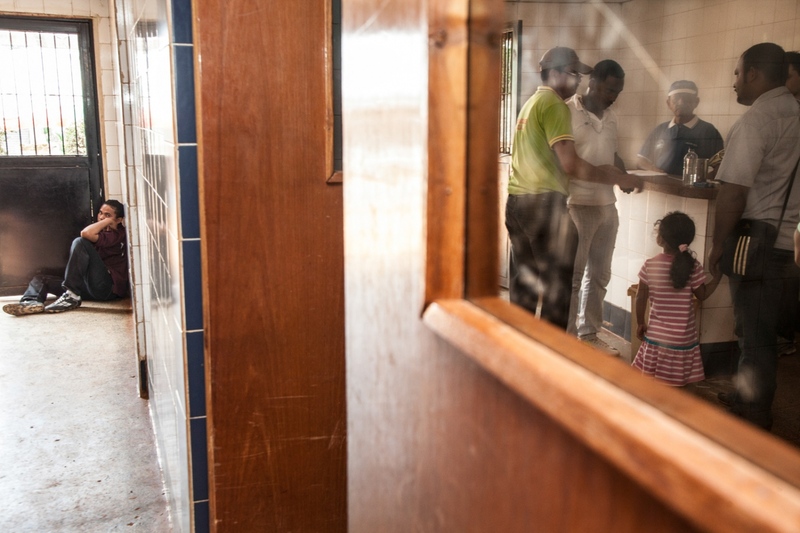 Indeed, in these areas, malaria has become endemic and every year it is estimated that more than half of the national cases are concentrated in this area. 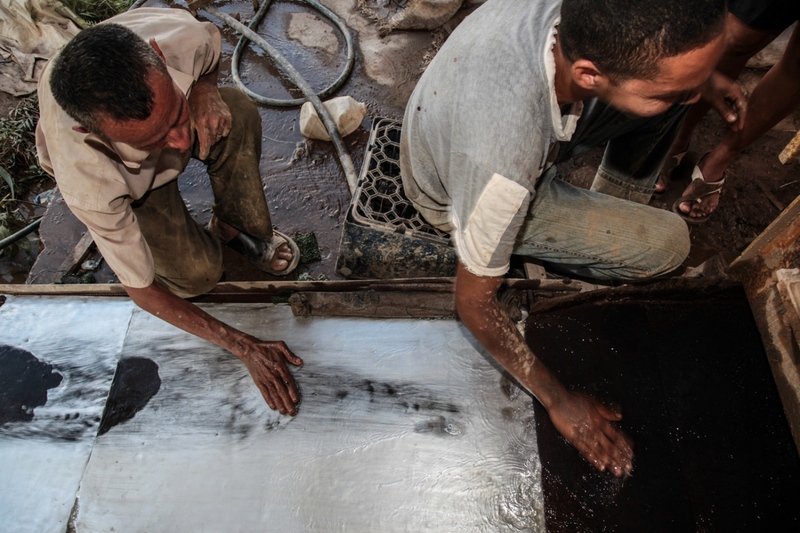 The use of mercury for gold extraction also causes severe and frequent lung diseases and cancers such as leukaemia. 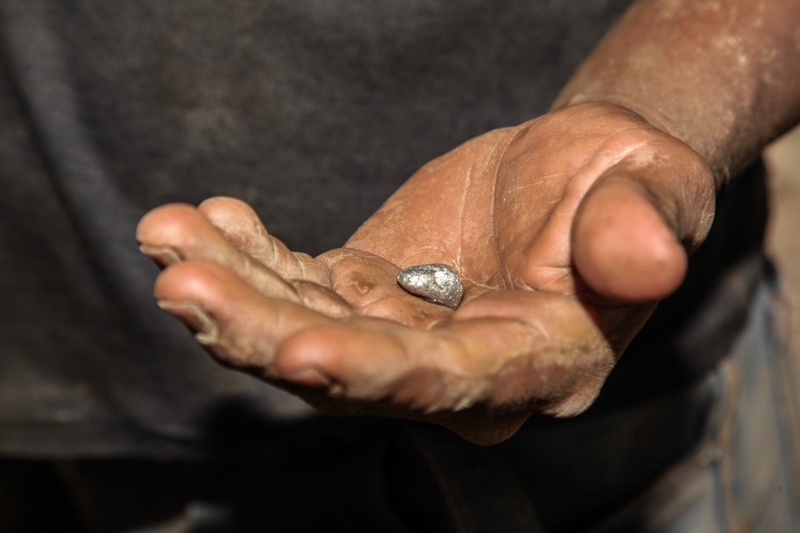 Despite the poor working conditions and the devastating health consequences, gold fever urges the miner to persist in the search for the precious metal. Miners move on large territories to follow the mining finds, thus leading to a nearly nomadic life. 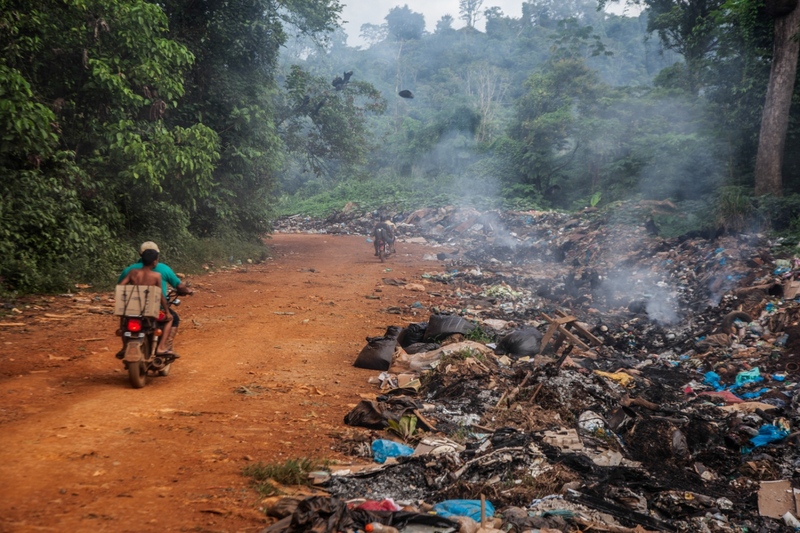 Entire families move across the forest living in camps made up of precarious homes that can be quickly abandoned, even though they have all the technological luxuries that gold allows them to buy. 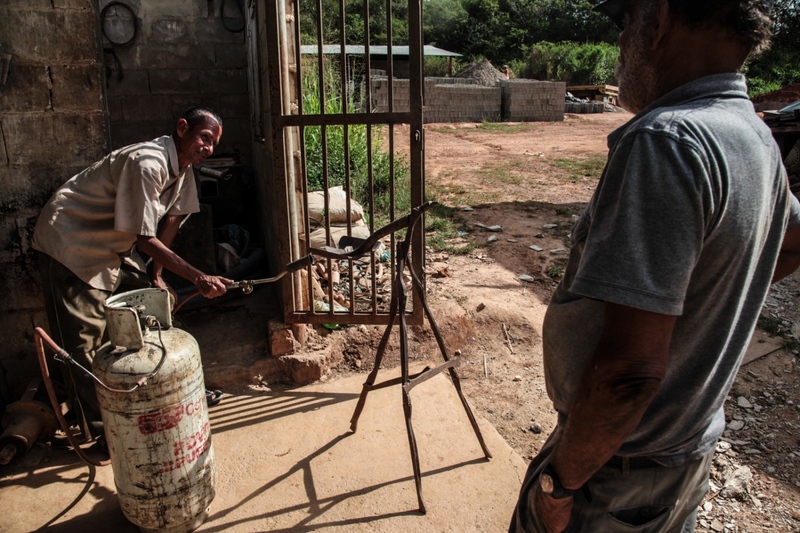 Despite the value of the extracted metal and the resulting gains, the miner rarely manages to accumulate any kind of savings because in most cases it is devoted to a life where alcohol, prostitution, and excesses are present daily. On the other hand, this craft is considered by the miner as the closest to its nature for the possibility of freedom and adventure: the difficulties that can be encountered are considered but are not enough to make them change their lifestyle. Due to the continuous extraction of gold, the territory near Las Claritas once occupied by the rain-forest has been transformed into a lunar landscape where the craters caused by the minery spread out to the horizon. 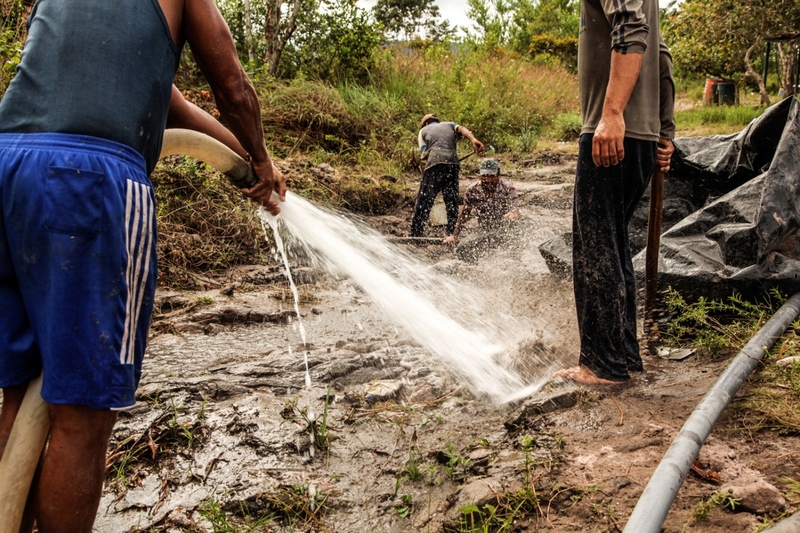 The miners, with the help of small engines that are modified to pump water to the ground with high power, open holes of two kilometers in diameter and 5 meters in depth in less than two weeks. 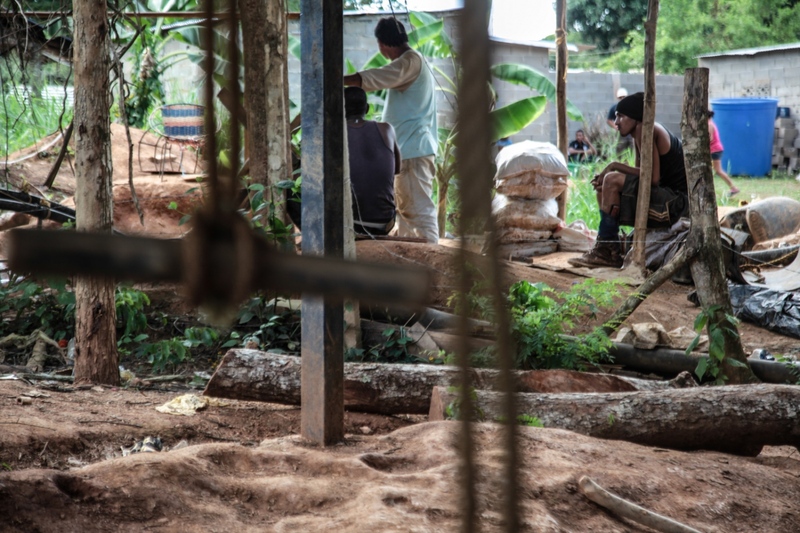 Marquez family, in Pauji, practices the extraction of gold in the traditional way, without the help of engines, only with blade and pile. The miners in Las Claritas. The miner come back to home. 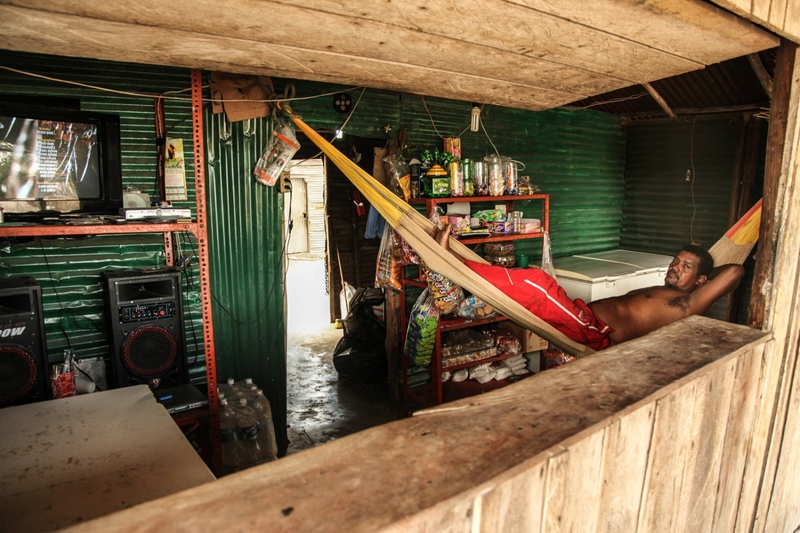 In the Aguas Claras camp the homes, which are almost always temporary, are made of zinc plates or large black plastic canvas mounted on wooden structures. 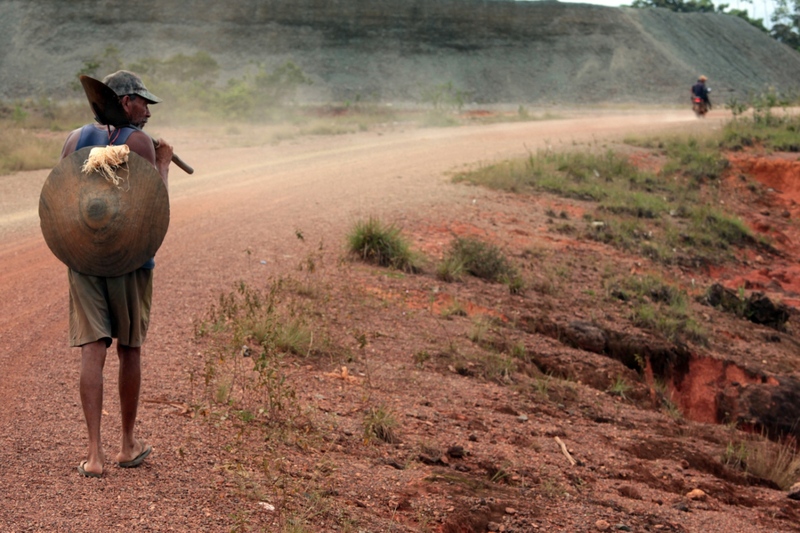 The miners live like nomads, searching for pieces of gold. 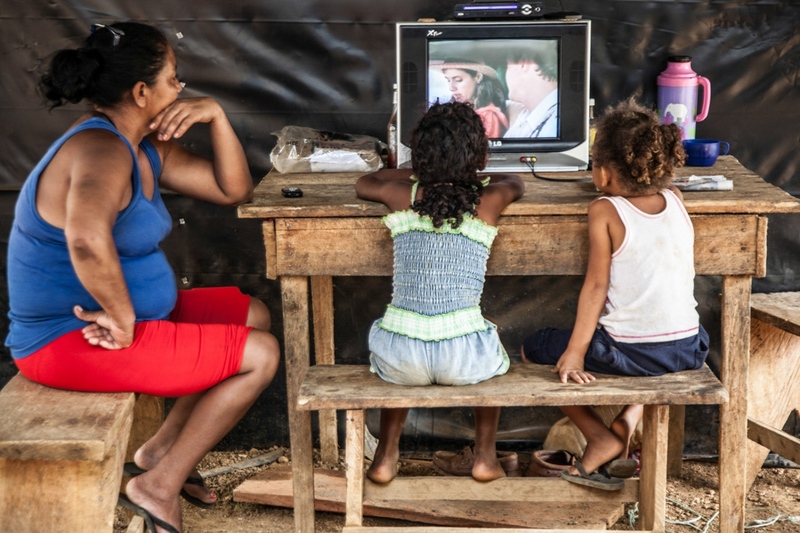 They live in houses that are made of plastic, and they bring their family with them, together with all kinds of household equipment such as television. The bar of a mining town. It was lifted soon after, as they thought there was gold under the bar. 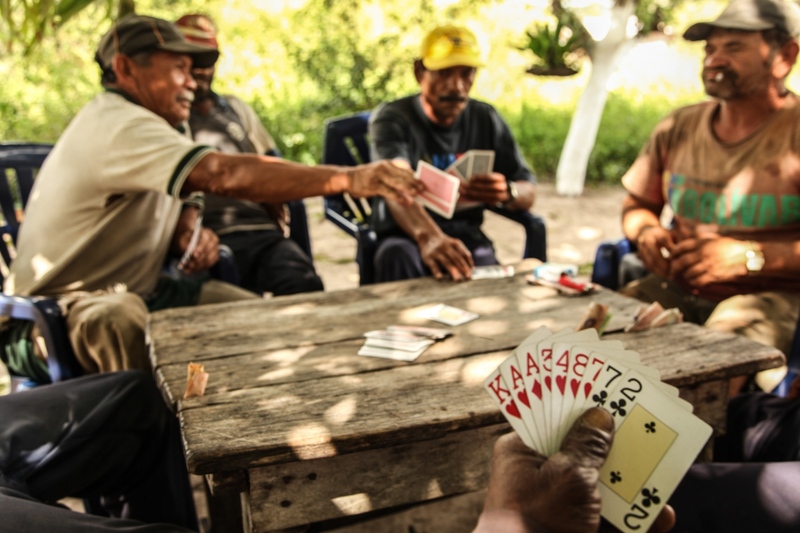 When they are not working, the miners join together to play cards, and to talk about the places where they think they can find gold. 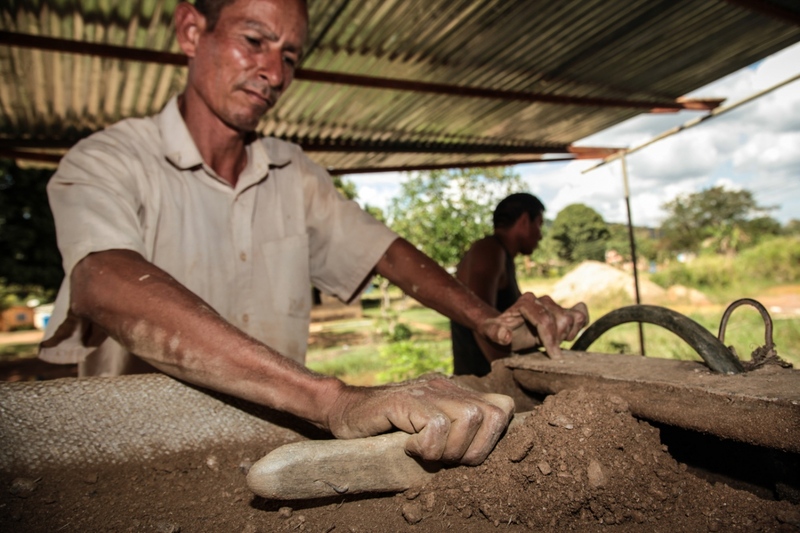 Martin comes from Colombia to work in the gold mines of Callao. Martin and his companion control the slipway to collect the gold that was trapped in mercury. The mixture of gold and mercury. 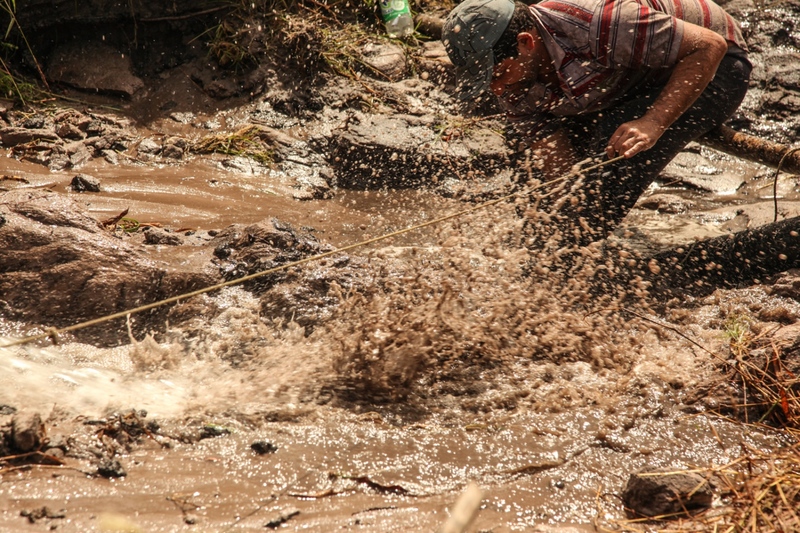 After collecting the mixture of gold and mercury, Martin burns it to get the precious metal. 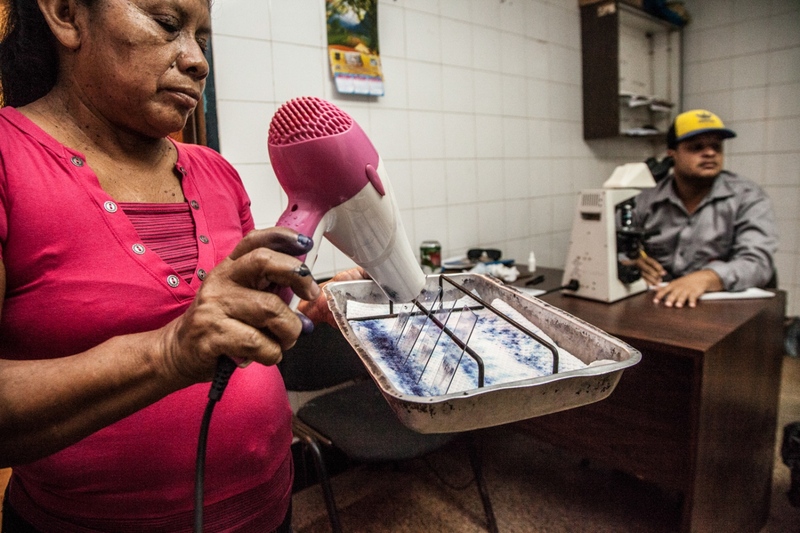 The Venezuelan Ministry of Health reported that Las Claritas, populated by around forty thousand people, accounted for 46% of the total malaria cases across the country in 2013, which is a huge percentage for such a small population. 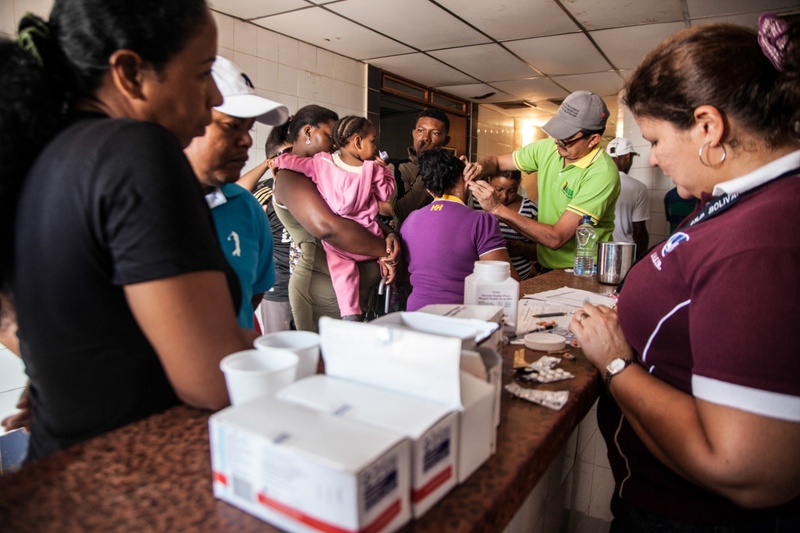 According to Jesus Toro, Director General of Environmental Health of the Venezuelan Ministry of Health, malaria is to be considered endemic in areas where mining activity is present. 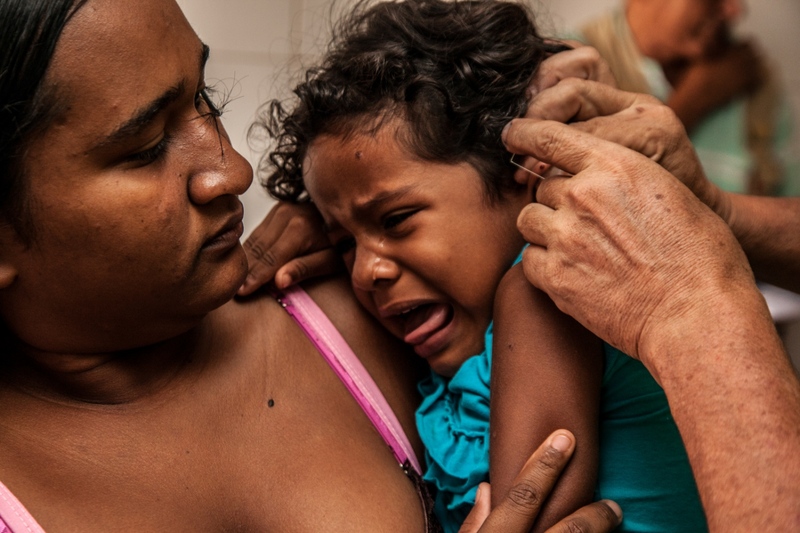 A Pemon indigenous woman takes her child to do the malaria test. Most of them coexist with this disease from birth. The mobile clinic for blood tests to detect cases of malaria. 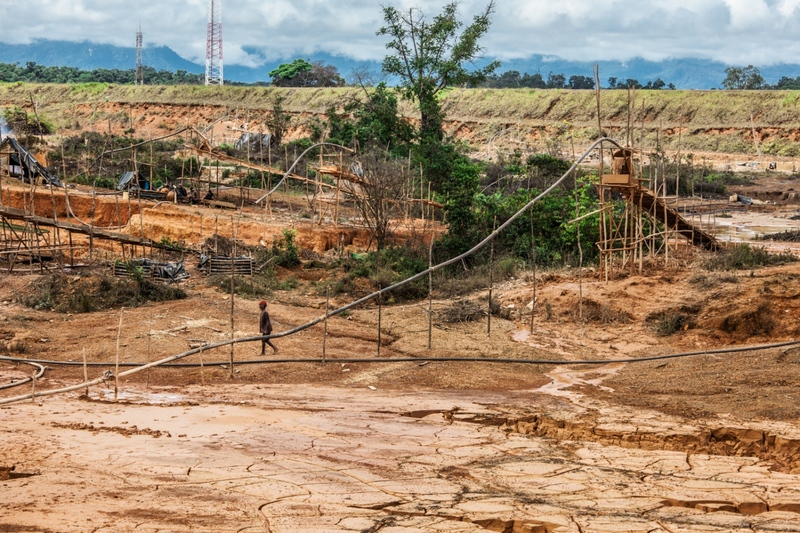 Despite the precarious situation, the miners always come back to the jungle to keep on searching for gold.